Both of the manufacturing giants, Altadis U.S.A and General Cigar Co., caught my attention with their releases at this year’s IPCPR Trade Show. 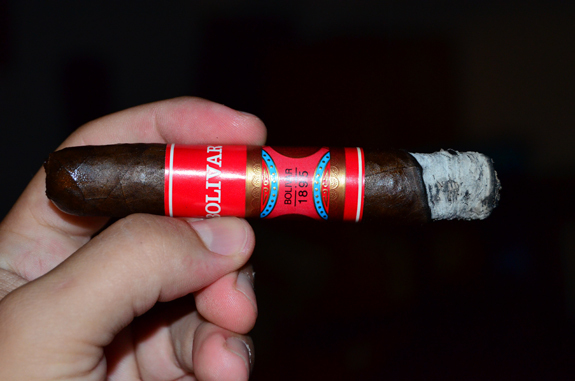 Henry Clay Tattoo put Altadis back on the radar and the move of the Bolivar and Ramon Allones brands under the Foundry Tobacco Company umbrella peaked my interest in General Cigar Co.. In homage to the past and a nod to the future, classics are reimagined. With a passport to forbidden tobacco, suddenly the old is new. You’ve expected the unexpected from Michael Giannini and Foundry Tobacco Company. Once again, the visionaries deliver. Heritage brands are shone in a modern and contemporary light. Here is a futuristic interpretation of how two storied brands could look 10 years from now. The world’s best tobaccos mixed with the forbidden fruit. But for now, while those leaves remains locked away, the blends tell the story. The best tobaccos from the Dominican Republic, Ecuador, Nicaragua and the USA expertly developed in true Foundry style. Manufactured in the Dominican Republic at General Cigars Dominicana, both the Bolivar and Ramon Allones lines will be available in three vitolas: 550 (5 by 50 Robusto), 652 (6 by 52 Toro), and 660 (6 by 60 Gordo). 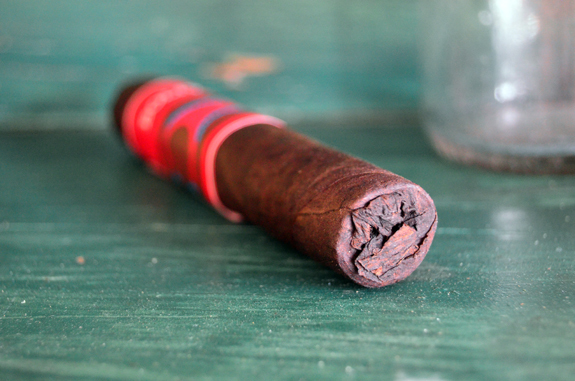 Prices range from $6.49 for the robusto to $7.49 for the gordo. Today, I will be reviewing the Foundry Heritage Bolivar 550 Robusto. The dark brown wrapper on the Bolivar is uniform in color. The small veins are difficult to see against the dark, oily leaf. To the touch, the Bolivar is spongy with a couple of strange indentations. The leaf contains no visible tooth, but bumps are found all over the place. 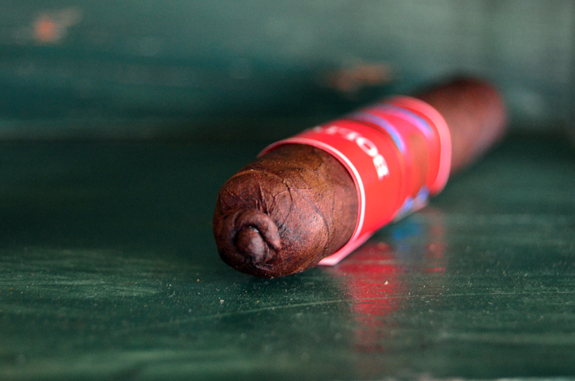 Beginning with a shaggy foot and coming to a close with a swirled pig-tailed cap, the Bolivar is an eye catching cigar. Aromas of barnyard, earth, and a vinegar pungency are found on the wrapper. Being a closed foot, not much more is identified other than woodsy notes. A stiff draw shows off a very welcoming combination of chocolate, potpourri spices, and woodsy notes as a mild spice is felt in the mouth. The opening profile is of woodsy notes, earth, and spice, along with a combination of sweetness and tartness. The interplay between the sweet and tart flavors is similar to a sweet and sour sauce. The woodsy quality evolves into much deeper cedar notes, as the mild spice causes some irritation in my throat. After a wild start, the bun has self-corrected and is of no more concern. Barely making my way to the second third, I am already having to remove the large single band. Already at a solid medium moving towards full, the Bolivar is stronger than expected. The profile remains consistent with the prior third, with the woodsy notes and tartness playing the dominant roles. The gaining sweetness is balancing out the profile. Retrohaling the smoke, the spice is highlighted, while black coffee notes linger on the finish. The Foundry Bolivar burned quickly through the first third, but has considerably slowed down. The coffee noted on the finish has transitioned into the profile, along with a newly found coca. 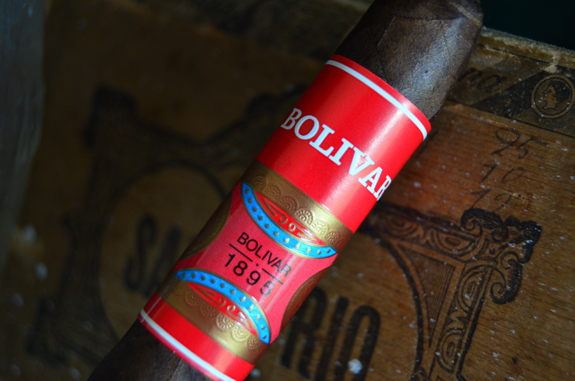 The Bolivar has found a great rhythm in the last third delivering rich and satisfying flavors. I can’t help but think of a full-bodied cup of mocha as I burn down to the final inch. 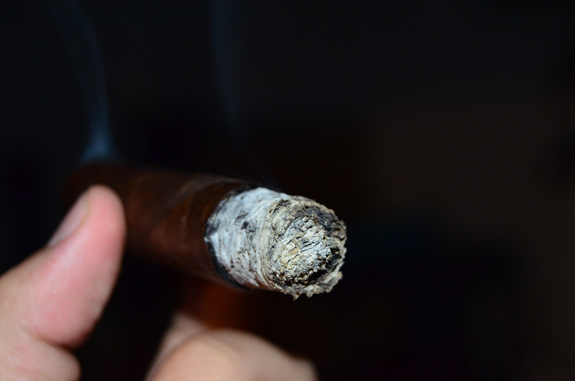 An even-burn, copious amount of smoke, and solid ash characterize the performance of the final third. So no complaints there. 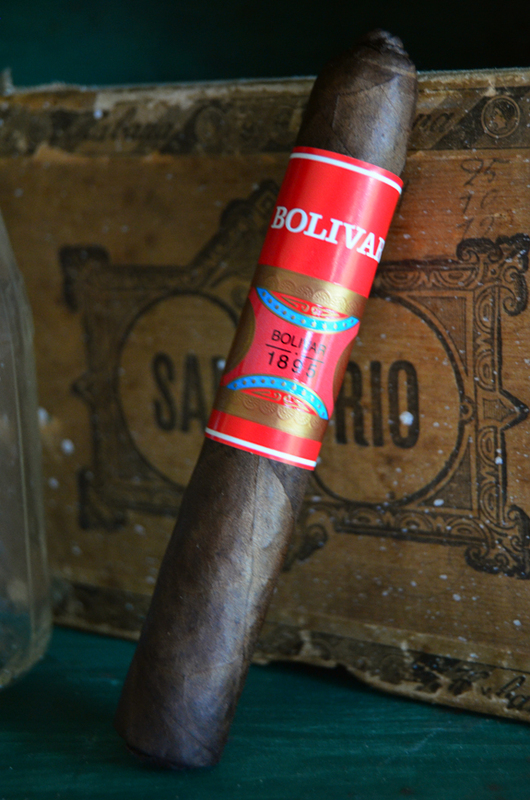 The reblending and rebranding of the Heritage Bolivar by Foundry Tobacco Company may cause some opposition among the traditionalist. But in my opinion, it brings life to a dying brand as it was rare for me to stumble upon the Bolivar or Ramon Allones brands at any brick & mortars. I have a feeling that is all about to change. The Bolivar 550 offered a consistent profile in the first and second third of medium/full flavors of woodsy notes, earth, coffee, some spice, and a very unique sweet and tart flavor. It was the last third that really shined with its rich, full profile. 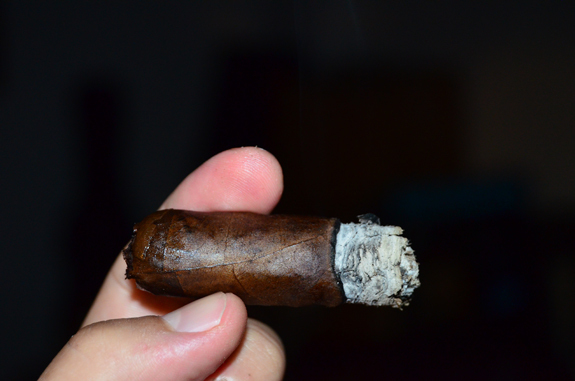 The strength steadily picked up throughout the cigar beginning at the low-side of medium and ending at the low-end of full. Performance wise, burn, draw, smoke production, and ash were above par. For a price of $6.49, General Cigar Co. and Foundry Tobacco Company have a winner on their hands.